It is 0630. I just left a bar in the 8th arrondissement of Paris. You just finished your speech recognizing that you are now the president-elect of the most powerful nation on earth. There is, and has been for the last few hours, rejoicing in the streets of Paris. I was in the Sherwood for the last 5 hours watching the results come in on the big screen. When Ohio went your way, I told them you had the election, no doubt about it. Harry’s Bar, next door, was jam packed, as was the bar across the street, as was the street between these three bars, a small street, deep in the heart of Paris, crammed with people from all over Europe, watching the big screens, smoking their hand rolled cigarettes, drinking alternatively beer and champagne, speaking alternatively french and franglish, all the while hoping, and yes even praying, that you would win the election. 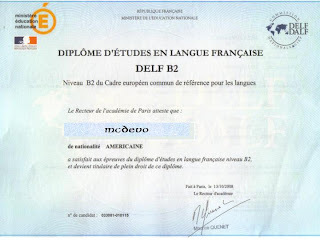 I was in Paris, also, in April 2003. Just a few weeks after the war in Irak began. 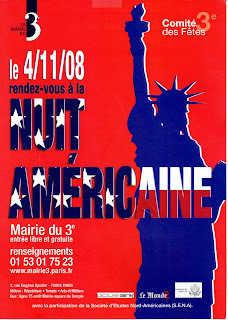 Before the big election this year, I reviewed my photos of the buildings around Paris from that time, adorned with 2-story banners, proclaiming the illegality of the american guerre en Iraq. I still have some of the stickers the french gave me at the time: Halte la guerre en Irak. I remember thinking how odd it felt to be american in france, and being uncomfortable when people asked me where I was from. I heard other Americans at the time say that they were canadiens, just because they didn’t want to be hassled. 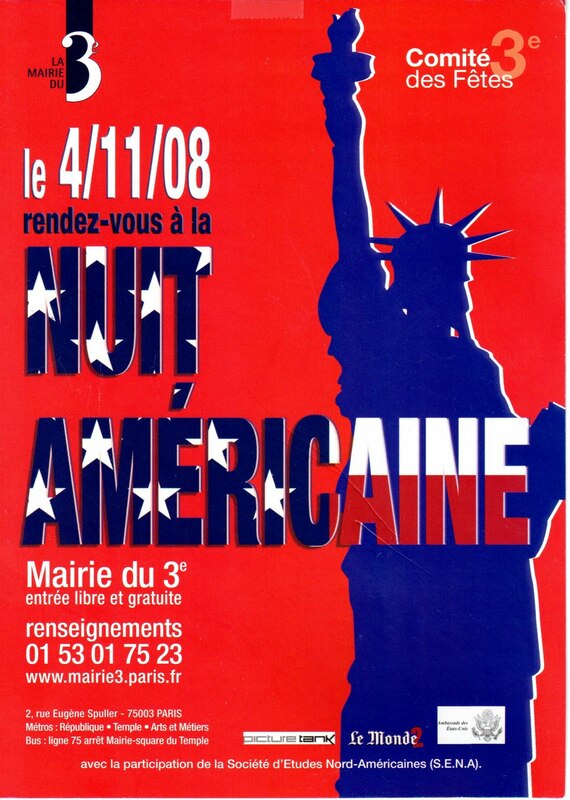 This morning, I can tell you, in the streets of Paris, everyone is an american. The little parisienne socialiste next to me explained how your victory was the only way for the US to move forward from the heavy chains of the soon-to-be former administration. The young french guy, american flag draped over his shoulders, dark aviator glasses, raised his fist in victory and chanted: on y va; on y va; oui, on peut; oui, on peut. The tunisenne, tears streaming down her cheeks, kissed me (hey, you weren’t there) explained to me what it means to see the USA elect a black man president. If it can happen for us, just think what the Algerians and other North Africans can accomplish in France. Just think about what every minority can do everywhere. Hope can come from anywhere. Hope is needed everywhere. Hope is more than a small town in Arkansas. Abandon Iraq. Cut our (and their) losses and let’s move on. Sorry. Send all of our troops to the Afghani-omni-Stans. I don’t know how many –stans there are, but we have unfinished business there. We let our resources get diverted to Iraq. I’m tired of thinking that any individual, any group, can attack the US and still be in existence 7 years later. Finish the job. Ask for volunteers. Ask for what it takes. Get it done. Oh yeah, we have a few economic concerns. We can work our way through them. Let’s clean up our external mess, and the internal will sort itself out. Let’s treat each other like compatriots, neighbors, fellow americans again, working together to resolve our common problems. Let’s go. Let’s not lose the moment. It feels good to feel good about being american. I left the US after the last election, living in Europe for more than 3 years now. It feels good to think about coming home again.